Shasthrawela people in Panama, Eastern province in Sri Lanka conducted a protest demanding their lands which were grabbed by the government seven years ago. The previous government forcefully evicted people from 5 villages in Panama area in the year 2010 July. around 380 acres of land from Ragamwela and Shashthrawela were captured by the Sri Lanka Air Force while 860-acre of land area which includes 3 other settlements were surrounded by barb wires with electrified fences. With the support of many parties including other villages, 40 families from Ragamwela actively fought for their lands and went to courts several times. as a result, the court allowed using 40 acres of land plot previously used by them but other 4 villagers were under the military possession despite cabinet decision taken on 11th February 2015 to release the lands. 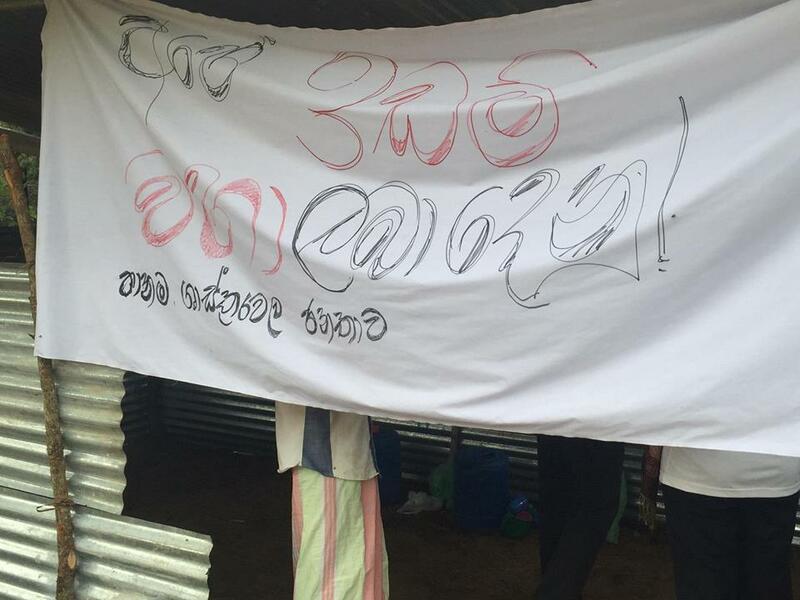 at 6th Monday, Shashthrawela villagers forcefully entered the lands where they used to live and fixed temporary huts after cleaning of the area. 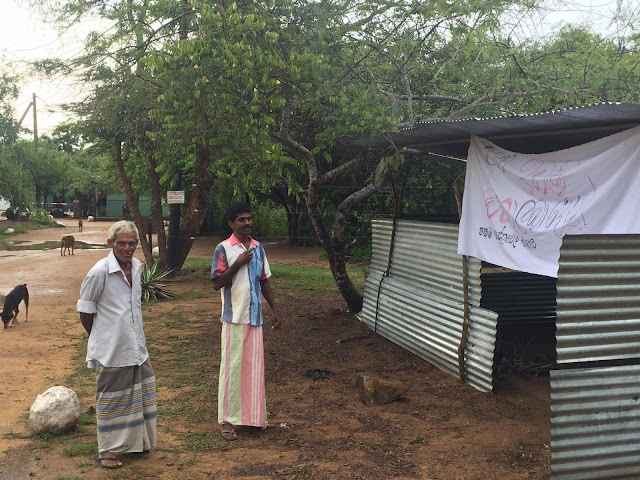 Today (8th) the authorities have met the villages to discuss the issue and have promised to give alternative lands, as the lands villagers demanding are now under forest conservation department.